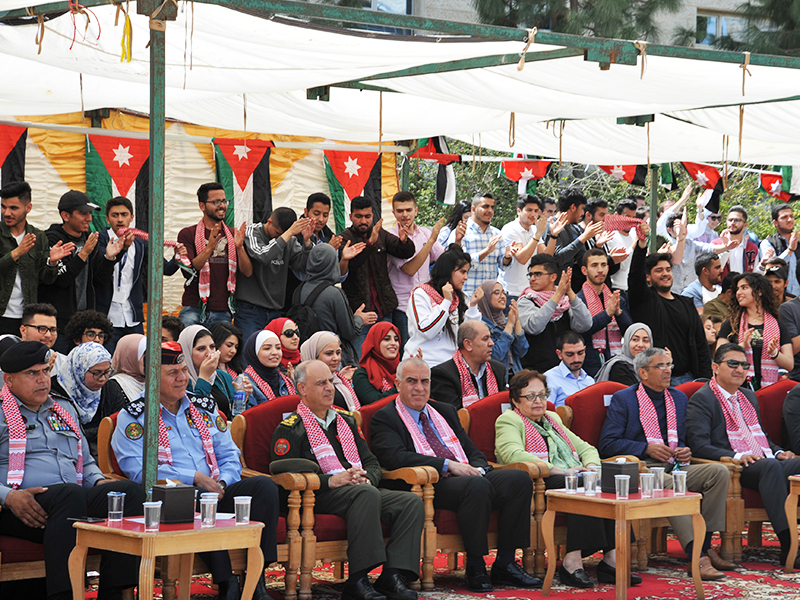 On Monday, April 8, 2019, the German Jordanian University (GJU) celebrated the National holidays of Al- Karama Battel, Army Day, Independence Day, the Great Arab Revolution and the occasion of His Majesty King Abdullah II undertaking the constitutional authorities and his birthday. She added, “Our heads are up and high with His Majesty's stands in defending the nation's issues, particularly the Palestinian cause, which is always present and supported by the Hashemite in the Arab and International forums. 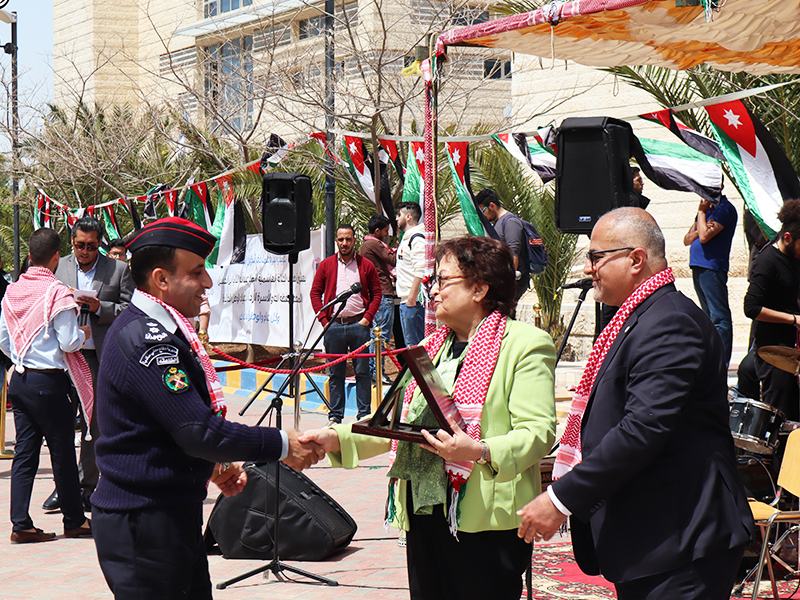 In his speech, the Dean of Student Affairs (DSA), Dr. Raed Khasawneh appreciated his Majesty’s efforts and dedication that are derived from the Hashemite custodianship of Jerusalem holy sites. He affirmed the Jordanian stand and loyalty with the solid leadership towards Al- Aqsa and Al- Quds, concluding with prayers to the Martyrs of the Jordanian army in all battles against injustice and terrorism. 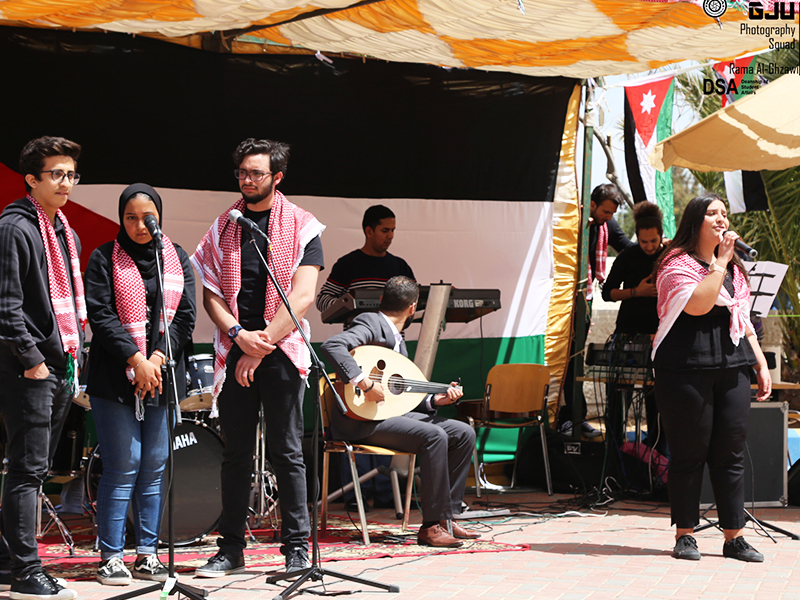 The celebrations included poetry poems, competitions and patriotic songs performed by GJU’s students, in addition to the participation of the General Directorate of Gendarmerie, the Public Security Directorate and local community’s bazaars of different products. 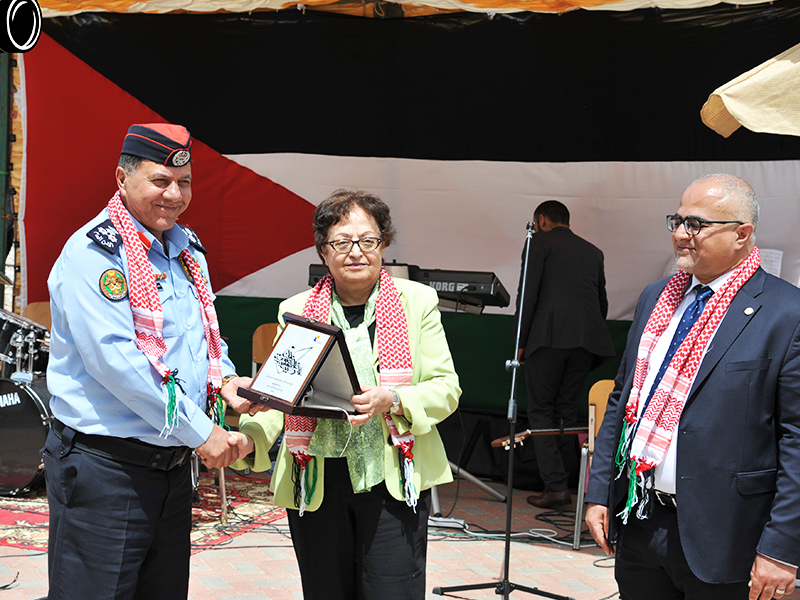 In the presence of Vice President of GJU, Prof. Atef Kharabsheh, Academic, administrative staff and students, Fayyad handed the shield of martyrs to honor the efforts of the attendees; the Public Security Directorate, the General Directorate of Gendarmerie, the General Directorate of Civil Defense and Anti-Narcotics Department.